”Republic” is a hand-crafted campaign that tells the story of you as a Black Shark attack helicopter pilot. The campaign is non-linear and has story arcs that branch based on your mission results.The campaign consists of 15 phases, which include 18 missions of various types: air support, anti-armor, working with a forward air controller, special operations, including behind enemy lines. Continuing working on the “famous” fighters’ line, we are especially concerned about gamebalance in DCS World. The best rival for the beloved by users MiG-21bis is an American fighter F-5E Tiger II, developed by the Northrop in the second half of the last century. 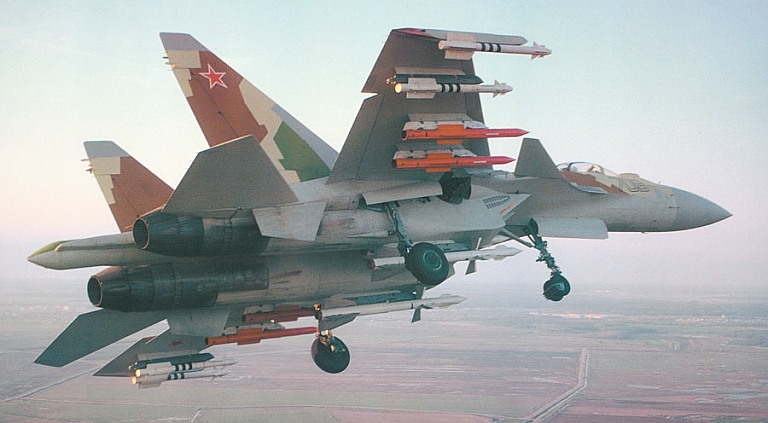 Su-35 demonstrator #709 displays a mix of R-27 Alamo and R-77 Adder BVR missiles (KnAAPO).